What does a lawyer do when she discovers her client may be a liar, or worse? Charles Kendrick, the senior United States Senator from Massachusetts, has been named a "person of interest" in connection with the disappearance of his twenty-five-year-old spokesperson, Michelle Forrester. Attorney Marty Nickerson is representing Kendrick, a high-profile resident of Cape Cod, but soon finds that parts of his story don't check out. Meanwhile, Marty and her law partner -- and lover -- Harry Madigan, are defending ex-con Derrick Holliston, who stands accused of murdering a popular local priest on Christmas Eve. He admits the killing, but claims, improbably, that he acted in self-defense. Michelle Forrester's body is found the day Derrick Holliston's trial begins, which leaves Marty and Harry facing two mounting legal battles and two clients whose stories don't make sense. Together they must confront the law in all its maddening complexity, battling for -- or maybe against? -- their own cagey clients in order to see that justice is ultimately served. "Even on the dangerously overcrowded current calendar of legal thrillers, there's room for this kind of sprightly stuff." 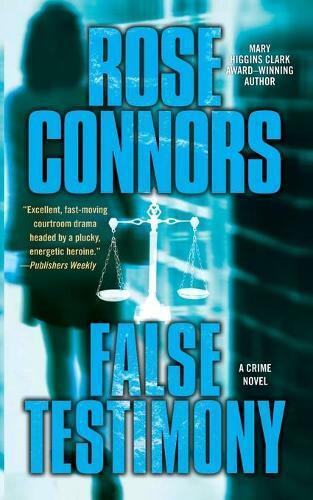 "Recommend Connors to fans of Perri O'Shaughnessy and Lisa Scottoline."